We buy half a dozen free range eggs each week from a woman who keeps hens and works in my DH's office. They seemed to have built up a bit and I had three boxes sitting on top of the fridge. 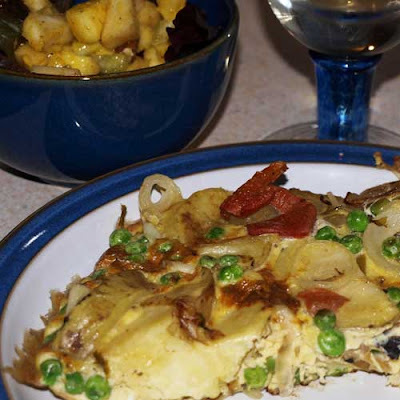 I had also bought the Tesco magazine 'Light and Easy' which featured a recipe for Spanish Onion, Pepper, Pea and Potato Tortilla, not that I need a recipe for this, but it certainly prompted me to make it. 2. Spray a 20 - 23cm non-stick frying pan with low calorie cooking spray and place over a medium heat. 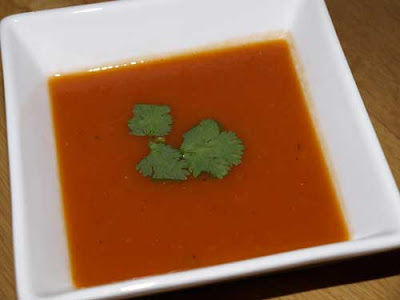 Add the onions, peppers, peas and drained potatoes, and fry gently over a medium heat for 12-15 minutes or until the vegetables have softened, but not coloured, turning and stirring often. Add the garlic and stir to mix well. 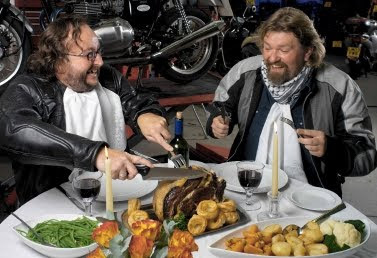 For those visiting from other countries, I should really explain that the Hairy Bikers are a couple men from the north of England who drive round the country (and other countries) on their motorbikes making and eating fabulous food. They are so genuine in their enthusiasm and like good down-to-earth food. Their latest series 'Hairy Bikers - Mums know best' takes you into the homes of everyday Mums who make lovely meals. It is one of the highlights of my viewing week (I know, how sad is that lol!). 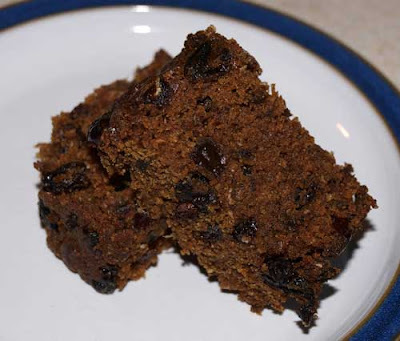 Anyway, one of the recipes that caught my eye was this Sticky Date Cake which is basically a boiled fruit cake but it is made using a tin of condensed milk. Preparation is minimal but it takes a good 2 and a half hours to bake in a low oven. This is the baked cake still in it's tin. That is the unappetising goo that is the boiled mixture before you bake it (I didn't want to put that as the first photo in case you were put off! 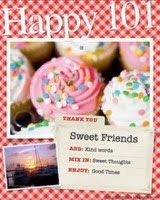 and here are a couple of slices of the delicious cake, so where is the recipe, I hear you ask? 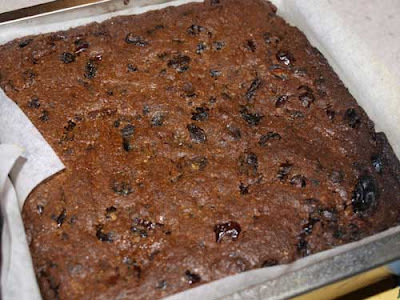 Click on this link Sticky Date Cake and you too can make a Hairy Biker special. When I described this cake to friends on the crafting forum I visit. 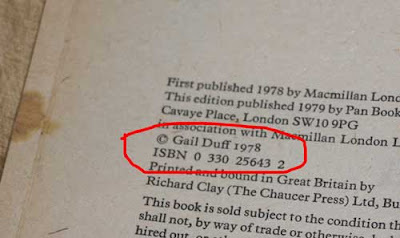 Angelnorth recognised it immediately and, as I have actually visited her in real life, she reminded me that she had served me a piece of this cake on my visit and it comes from a book called "Food from the Place Below". It seems that the original link to this recipe has been removed, so I have linked to another copy of it which has been posted on the BBC Good Food website as "Sticky Date Cake". 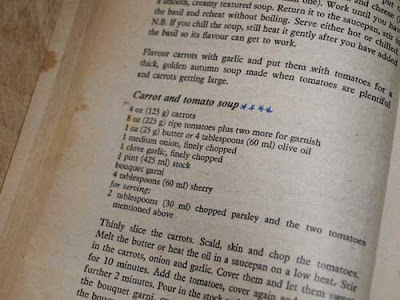 I have checked it against the original recipe in the Mum's Know Best cookbook and it is the same. 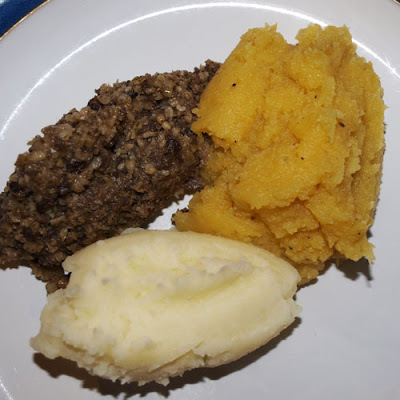 I didn't go to a formal Burns Supper, but we had haggis, neeps (swede known as turnip in Scotland) and champit tatties (mashed potatoes) for our supper tonight. 1. 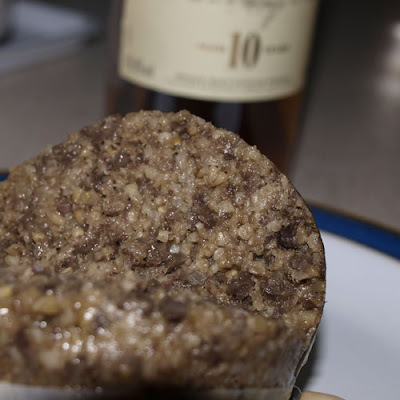 Yes that is a bottle of malt whisky behind the haggis, we didn't have it with the meal but had some after with our coffee. 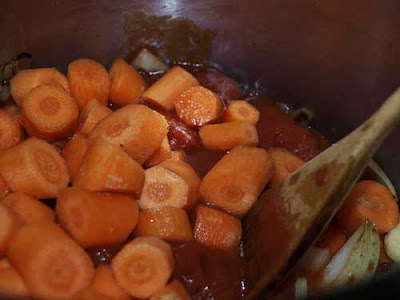 My blog is called Farmersgirl Kitchen, and this is where I make the food that I show on this blog. We need to do some work on the internal walls of our kitchen. There has been some water coming in from the outside wall (on the right) if you look closely you can see the marks. We have had this fixed outside, but all the plaster has to come off that wall and our joiner is going to line it with insulated plasterboard. We are also getting the wall behind the current units strapped and plasterboarded so we can have wall units, the existing wall just wouldn't support them. 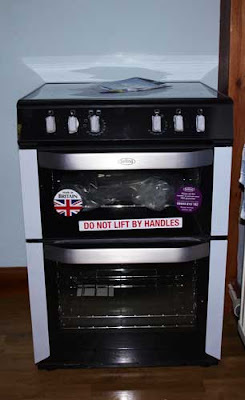 So....as my cooker (stove) is 25 years old and the kitchen units are about 23 years old, we decided that it was time to have a change. I have a strange kitchen set up, being an old farmhouse kitchen there would have been no water plumbed into the building, so our sink is actually in the 'back kitchen' or scullery, a brick built extension (in the 1950's) down three steps. I thought I would never get used to it, but you do get used to it and it would be such a major operation to bring a sink into the kitchen that we have never quite got round to it. 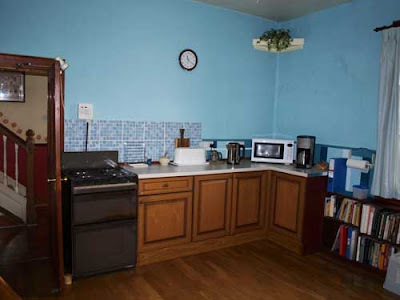 So, the fridge, freezer, washing machine, dishwasher and sink are all in this 'back kitchen' down three steps and the area we are renewing is the cooking, kettle type area. 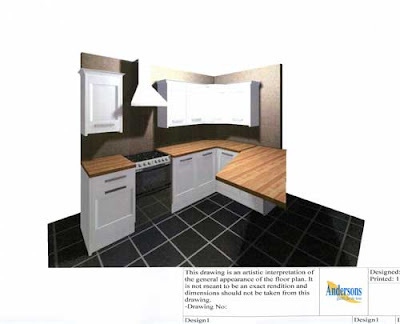 I thought that as we were making this change, I wanted to make it different and I wanted to have more worktop space. Difficult challenge as there are many doors, windows and an inglenook fireplace with our oil stove to content with, I bought some magazines, as you do! And one of them had a breakfast bar that came out from the units at an angle, I was sold. I found the kitchen shopping a bit of a challenge, the units I liked, didn't always do the things I wanted them to, but today, finally, I found some units I liked that did pretty much what I wanted AND I got to have solid oak worktops which is the bit that excites me most! The illustration below is pretty much what it will be like, except the breakfast bar will have support at the end, not hanging in mid-air like it is - scary! And, those are not the handles that I am getting, the ones we will have are hammered steel and really cool (and expensive) but lovely. I will give you step by step updates, it's going to take a couple of weeks for the units to arrive and our joiner says he will be available in 2-3 weeks, but as long as it is done before DS1 gets married in May, I will be happy! Oh and, by the way, I have taken 4 carrier bags of cookery books out of the book shelves, which is why there are some spaces! The bookshelves were created for me by our joiner and sized to my biggest book - he is a real craftsman, but I do like to challenge him! I got my copy of BBC Good Food Magazine today and was looking through and found this recipe. So instead of having dessert we had muffins with our coffee and they were delicious, not too sweet and a great texture. 1. Heat oven to 180C/160C Fan/gas 4. Line a 12 hole muffin tin with paper cases. 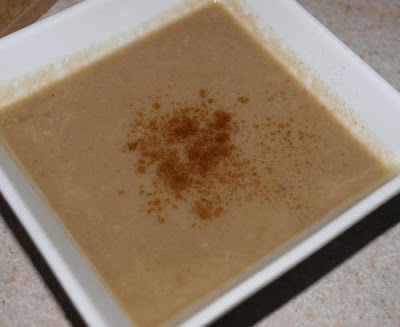 Sift the flour, cocoa, baking powder and cinnamon into a bowl. Stir in the sugar and cranberries. Microwave the chocolate on Medium for 1-1 1/2 mins, stir then set aside. 2. Mix the yogurt and milk, with the oil and egg. 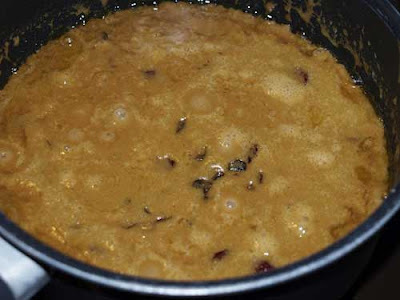 Make well in the centre of the dry mix and gently stir in the liquid. Drizzle half the chocolate over the mix, gently fold in until swirled, then repeat with the remaining chocolate. Take care not to over-mix. Spoon the mix into the muffin cases and bake for 15-20 mins until risen and firm to the touch. 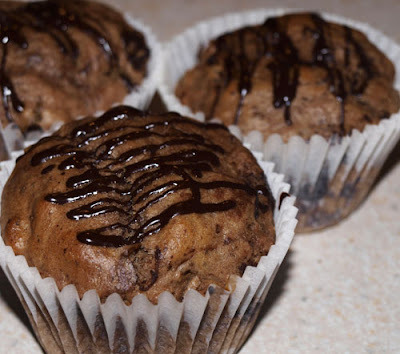 Oh and I melted a little extra chocolate and drizzled it back and forth across the muffins for a little choccy finish! 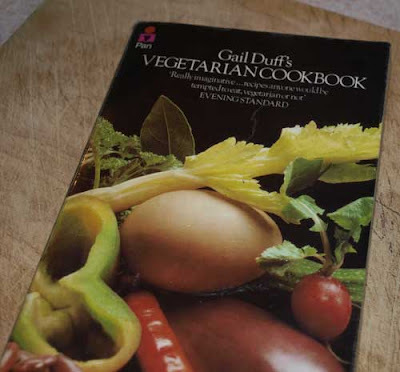 I found 'Carol's Completely Fabulous Steak Marinade' as the basis of recipe for which I had all the appropriate ingredients, well almost! 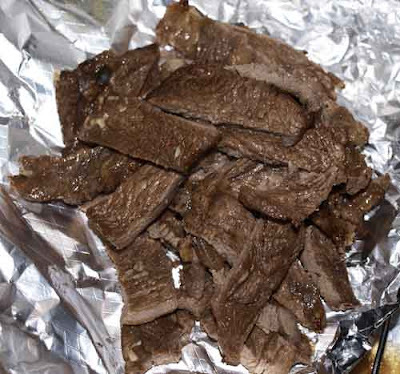 Put the whole steaks in a plastic bag, seal and leave in the fridge for 8 - 24 hours. 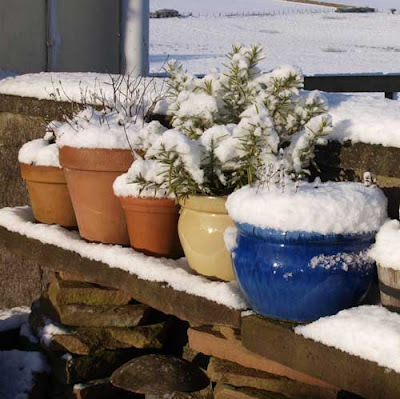 I know a lot of people have much more snow than we have, but I thought these post of herbs with snowy tops looked great, and sort of food related, so I thought I would share them with you. Last night supper was definitely a mish mash of left overs. We had some turkey and ham pie left over from New Year's Eve, some onion bahjis from lunch on NYE. 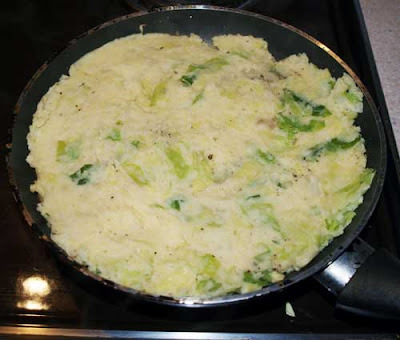 I also had some mashed potoato and mashed turnip (swede) left over from the haggis meal we had on New Year's Day so I decided to make it into Bubble & Squeak with the half cabbage I had lurking in the fridge. 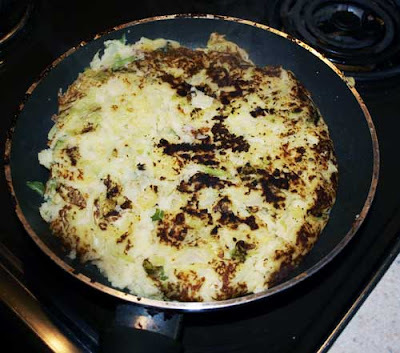 It is usually made with left over cabbage, but I made this fresh and then mixed it into the potato/turnip mix. Some butter in the pan on a medium heat and then just bung it all in and press it down. The tricky bit is turning it using a plate, I think it would be wise to lightly oil the plate before inverting the b&s onto it as it does tend to stick. However even if you have to lever it back into the pan like I did, you just squish it down again, it can take quite a lot of abuse! If you have one of those pans that go in the oven you could do it that way too. 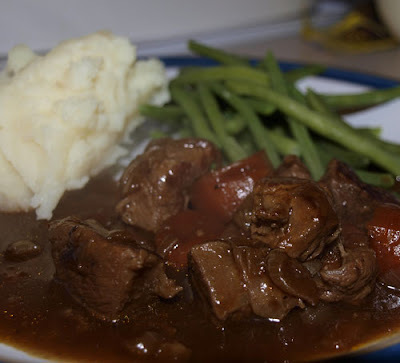 I'm getting to the end of the left overs now and have a Carbonnade of Beef in the oven. I can smell the beer as it cooks slowly - mmmmm! 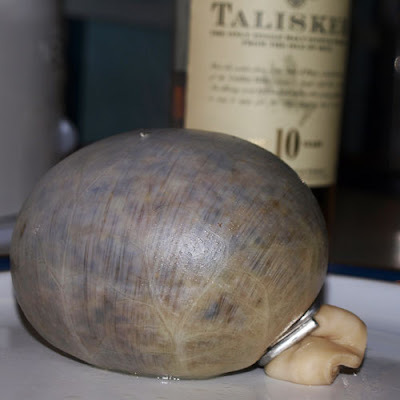 After all the cooking and eating of the holiday season, I'm feeling a bit cooked out. 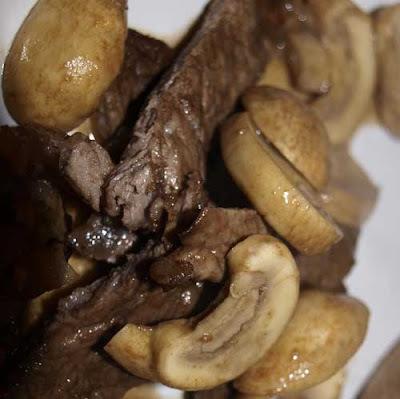 I am definitely ready for some light and simple food, but the snow and cold weather continues and there is still a need for some comfort food. I can't remember the last time I made sausage rolls, I had flashbacks to making them with my mum with very pink sausagemeat. 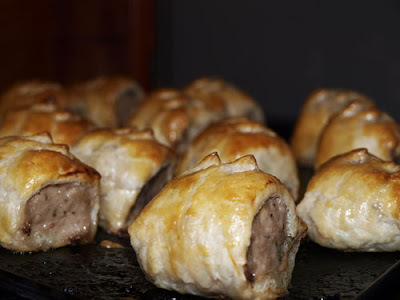 I was inspired by the sausage rolls that Delia featured in her Happy Christmas book. I didn't make my own pastry and the sausage meat came courtesy of my SIL who got it from an excellent butcher. It is pork and apple sausagemeat and I added some fresh sage I had left over from the turkey stuffing. Anyway they were delicious and I shouldn't leave it so long the next time.